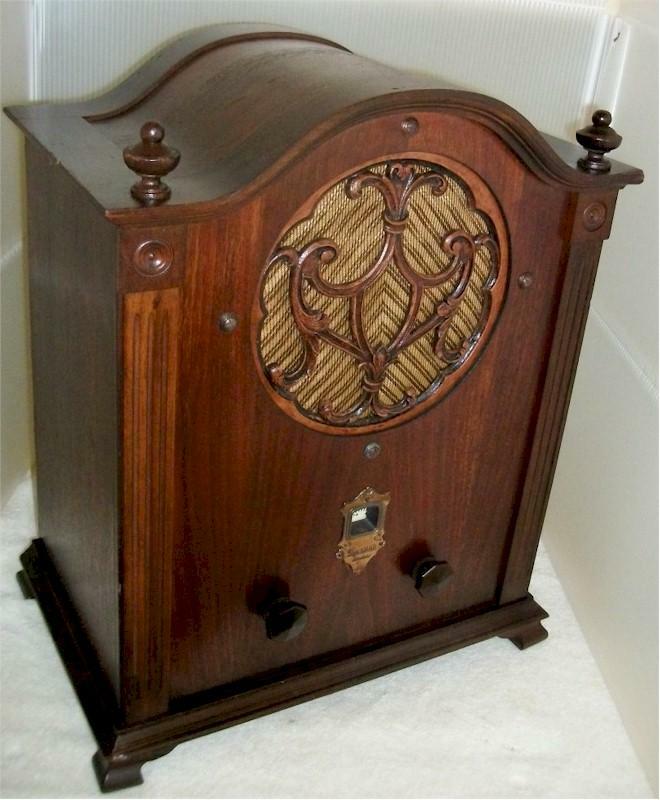 This very grand looking vintage tombstone style radio looks and works very well now, after it has been completely restored. The wood cabinet has been well cared for and is in beautiful condition. 19-1/4"H x 15-3/4"W 10"D; weight 31 pounds. You are visitor number 2,728 to this page.